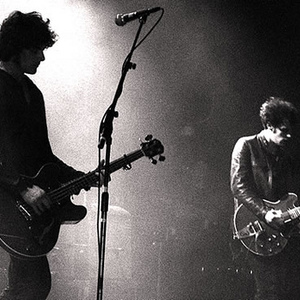 Black Rebel Motorcycle Club is a rock band from San Francisco, United States now based in Los Angeles. The band formed in 1998, influenced by much classic rock music of the past six decades, particularly the Jesus and Mary Chain and Love and Rockets. Their style also encompassed slower-paced grooves influenced by shoegaze. The band's second album 'Take Them On, On Your Own' featured several songs ('Generation' and 'US Government') which were critical of the United States' foreign policy and George Bush in particular.